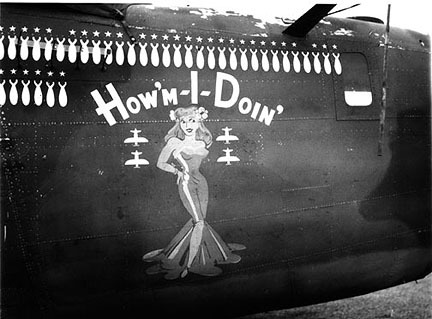 B-29 "Dauntless Dotty". 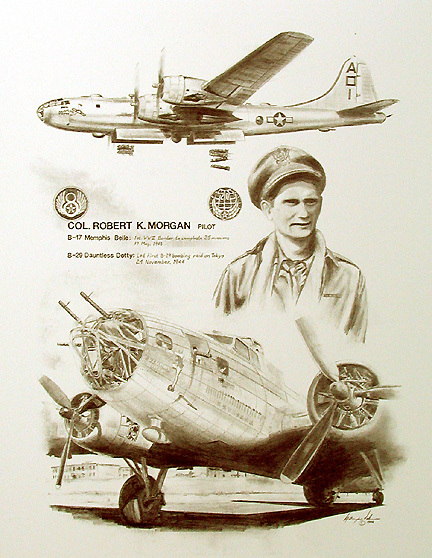 This print renders both aircraft faithfully that was personally approved by Morgan. 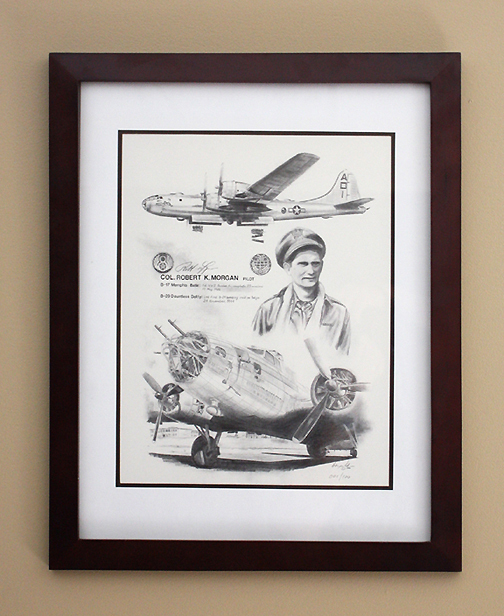 Matted and framed in a beautiful dark stained wood frame. 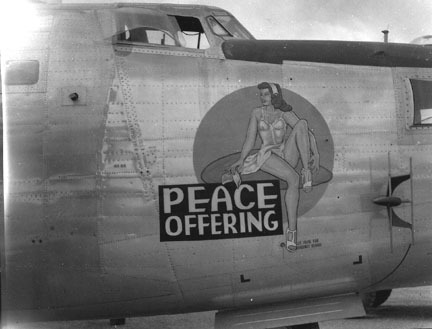 B-29 "Dauntless Dotty". 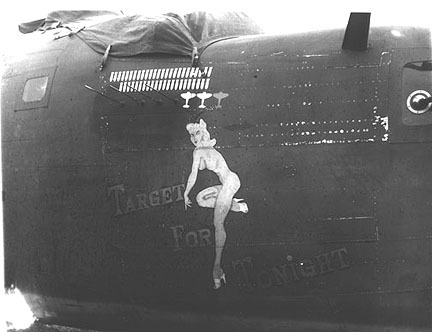 This print renders both aircraft faithfully that was personally approved by Morgan. Available signed and unsigned. 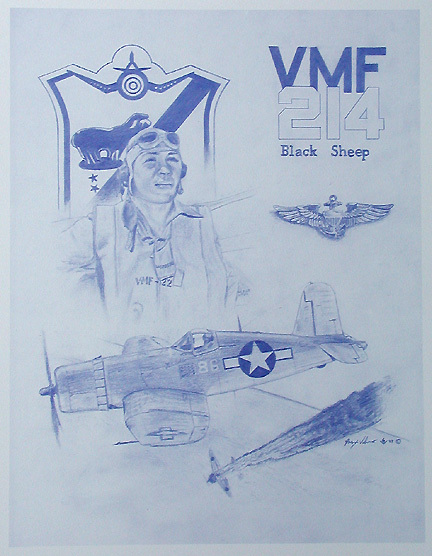 Although Boyington did not fly in this a/c, it has been the subject of many artists. I thought I would follow in the masters footsteps and render one myself for my small mini reunions. 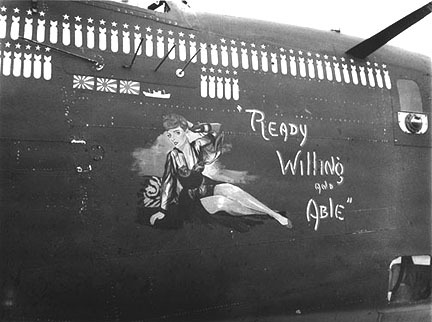 With a score of 40 kills, Bong became Americas 'Ace of Aces'. 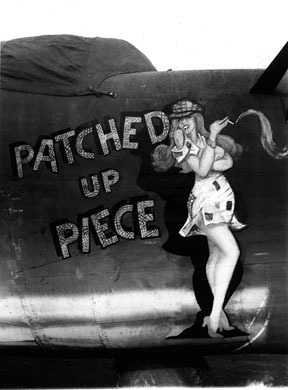 Maj. Bong had his sweetheart Marge Vettendahl's photo applied to his P-38 with the name "Marge" painted next to it. 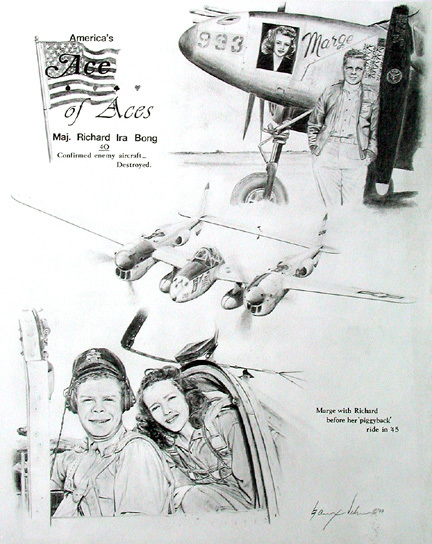 During his second leave back to the states, Bong gave Marge a 'piggyback' ride in a P-38 to show her what it was like to fly in a high performance fighter. This sketch design was approved by Marge for a print. can offer them to you for framing. These are the first few available by us. An 8"x10" glossy print reproduced from the original negative. 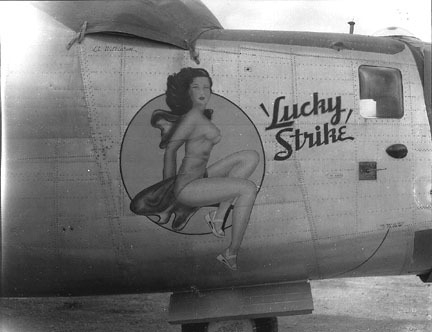 B-24 (F-7) 20th Combat Map. Sq.